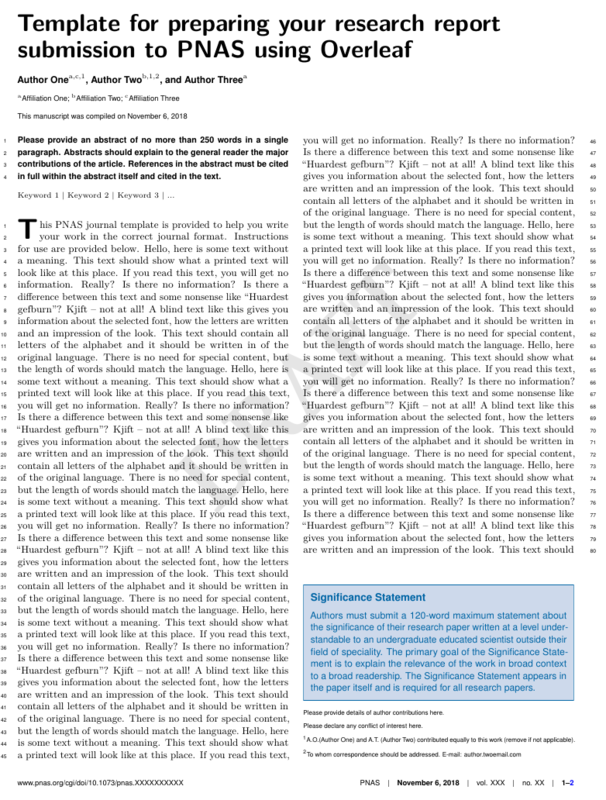 Box / Object moves in research article template depending on introduction length. Why? There's nothing that sets up the location of this "Box" in the main .tex file, but I found the following in "the main" .sty file (cf. below). I tried to find out about it, I guess "afterpage" does put it on the following page? It this supposed to happen? Why does it happen after a threshold of paragraph length? How can I fix it to not move to the next page? The \afterpage command is there because the significance statement is a float, and this ensures that it still comes at the bottom of the column even if there are other floats on the first page. You're seeing this behavior because the first paragraph is extremely long and LaTeX can't find room for the significance statement on the first page, so it moves to the next. Try breaking up that text into multiple paragraphs and the problem goes away. Notice in the example below (BTW, you should normally provide a MWE in your questions), if you set the blindtext repeat value in the first paragraph to 10 or greater, there's not room for this whole paragraph on the first page, and so the behavior you're seeing occurs. If you set it to 9, the end of the first paragraph is still on the second page, but that's because there would be room for it if not for the significance statement. Statement is to explain the relevance of the work in broad context to a broad readership. abstract must be cited in full within the abstract itself and cited in the text. I could not log into my old account somehow. I am "Andrew" who asked the question. 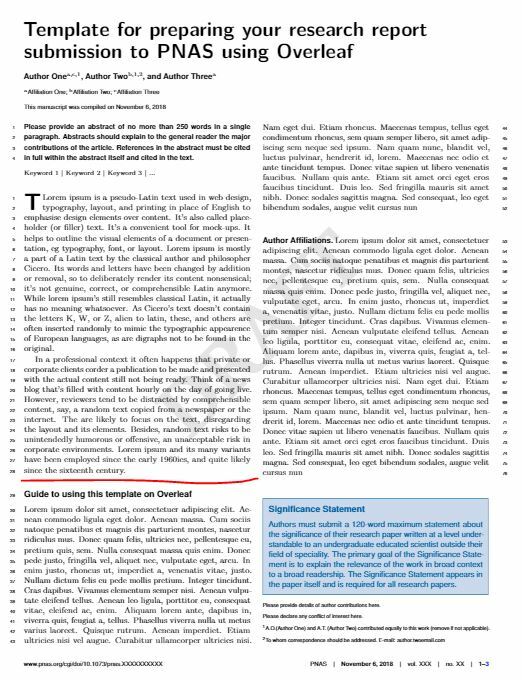 Use the LaTeX templates directly provided by Overleaf, rather than those provided by the PNAS webpage! I never ran into this issue again despite exactly the same text! Not the answer you're looking for? Browse other questions tagged formatting templates afterpage research or ask your own question.